I current live abroad and every time I need to renew the passport I also have to renew my life time residence permit in Ukraine and it is a several week stressful time consuming expensive waste of time. Also it is an expensive trip to the nearest country to renew the passport and 5 years is just too short. 7 years at least, or back to 10 would be ideal. The reason for changing it to 5 in the first place was also really to put it bluntly, stupid. Since when would little old NZ ever have a terrorist attack made upon it? NZ doesn't poke other nations to provoke such terrorist events. Besides, NZ is Greenpeace pro, anti nuclear, so hardly a threat. My son and daughter both live in Europe (Ireland and Denmark). In both these countries passports expire every 10 years. Although they both qualify for passports in the country they currently live in, they are passionate about their NZ citizenship and want to use their NZ passports as much as possible. However because of the current 5 year policy for NZ passports, they have to constantly review their NZ passports before they leave to visit NZ - or travel anywhere in fact whereas their Danish and Irish spouses only have to think about it every 10 years. The current 5 year term effectively means 4.5 years as a passport must have 6 months time left for me to enter most countries. I don’t see how New Zealand can have a greater need for security than these two (and other) European countries. So why should we have to pay for a new passport every 4+ years for what I understand to be a security concern, especially now that we have biometric passports with extra security. We only get 4.5 years max out of a passport. Where I live it is not possible to send or receive passports legally by international couriers because they all go through the USA and the US won't allow transhipment through their airspace. So that means every 4.5 years I have to spend USD 5,000+ to travel to NZ and back if I want to do it legally. In addition, all of us working overseas have to get work permit visas and residency visas stamped or fixed in our passports. It is a real hassle to have to go through the process of having them transferred from an old to new passport. The 5 year passport is totally inconvenient for people who travel a lot from an offshore base. Those living in NZ can do things easy. But there is a more complex world once you go offshore. The 5 year passport has no value to anyone except the government - who get twice the amount of fees and employ twice the number of public servants to process them compared to a 10 year passport. For a Kiwi Expat like me it is totally inconvenient and irks me that my wife has an EU passport that is valid for 10 years. Are Kiwis more of a security risk that EU citizens, Americans or Australians? If not then we should be issued 10 year passports - just like they are. There is absolutely no valid reason why NZ citizens are being penalised in this way. 4.5yrs is too short a validity when you are overseas. As a long term volunteer it's a hassle in South Sudan as there is no postal or courier service. I have a UK right of abode visa in my NZ passport which I have to send to England for renewal every time my passport expires. I have 2 years left on my current 5 year NZ passport, but considering going back to the UK next year to work but its a waste of money in that it will only be valid for 2 years and then with my new passport need renewing again. I travel for work a few times a year also so its inconvenient to have my passport being processed at consulates if I need to travel. I prefer the 10 year passport. 1. I have had problems re-entering the country on a valid foreign passport, even though I am a born and bred NZ'er (I have dual citizenship). As my other passport is a valid travel document and valid for 10 years I see no point in renewing my (expired) NZ passport for the high cost when it will have expired again before my foreign passport does. 2. The cost of obtaining a NZ passport has not reduced from when it was valid for 10 years although it is now valid for only half the time. 3. As you are only allowed to travel with a minimum of 6 months before passport expiry, NZ passports are in reality only valid for 4.5 years. For the majority of kiwis I would imagine they would only get one trip out of each passport. 4. Now that all NZ passports are digital and therefore less prone to damage or tampering (e.g. laminate lifting) I see no practical reason for NZ passports not to be in line with those of other countries as named in the petition and extended to 10 years. I have been living in Pakistan, we had to find people to carry our passports to and from UK in order to have them renewed, this would leave us, without passports for 1 - 2 months at a time. Also, it makes it very difficult to have 5 year visas lodged into your passport, as your passport never has enough time on it. Because there is NO rational reason for a passport to be valid for only 5 years when our major travel destinations (UK, Aus, US and China) all have 10 year passports. The government is NOT listening to its people and this arrogance cannot be left to continue unchallenged. For all us vocal supporters, you can bet there are many more silent seethers who also are irate at only a 5 year passport. I have dual citizenship and have resided in the UK for the last thirteen years. I had the displeasure of renewing my NZ passport back in 2007 and received the new five year passport; It has since expired and i have not renewed it. I recently travelled back to NZ for a family Christmas and chose not to renew my NZ passport for obvious reasons and so entered my birth country on my British passport. Ridiculous! My partner and I are due to relocate back to NZ later this year. I sincerely hope the NZ Government has the sense to see the flaw In the system before I need to renew my NZ passport for our return. Every time I get a new passport I have to get my South African residency stamp re-added to it - if you lived in SA and had experienced Home Affairs you would understand what a nightmare this is. I will never give up my NZ passport but it makes life much harder having to renew every 5 years. Surely we have enough security built in these days that this is overkill. Many other nations do not do this, why must we? I have lived overseas for the last 10 years, most of them working as a humanitarian in remote settings. I travel at least once a month - and renewals are a nightmare. Unless this is purely about revenue raising I find it hard to see a justification for adults renewing every 5 years. If security conscious countries like the USA and UK can have 10 year passports, why can NZ not have them? Ironically our UK passports are still valid while our NZ ones have expired so we had to pay for a visa to visit Australia! Crazy! It's just too expensive to keep paying every 5 years to renew the whole family. it feels like revenue gathering although the reason is given as security but if the U.S. and the U.K. have a 10 year passport then that definitely isn't a believable reason! I am a Maori living in Sydney, my two teenage boys travel to Australia during their school holidays, I also have a four year daughter whose passport will need to be replaced next year. She will need her passport replaced at my expense at least three more times. The combined of cost $450 to replace all my children's passport. This is excessive. We are a family of four and it is very expensive for us to renew every 5 years. It has deterred us from doing the travelling we used to do because we are a one income family.. I would be very grateful if passports would go back to the ten year scheme as it will then give a lot of families the opportunity to enjoy the world and spend that extra money on their holiday. It took me years to renew my passport after it expired post 2005, mainly because I didn't see travelling my 5 year plan but did in my 10 year plan. It really make you think about doing something as simple as entering a radio competition. Or even last minute trips to Pacific Islands. You'd think the governments in Fiji/Cook Islands/Tonga etc would be encouraging longer passports for their own purposes given how many people visit from New Zealand. Because my wife is a Kiwi, and I just believe it should be an option. Getting passports renewed is a pain (especially when abroad), and the less we have to do it, the better. The argument for the 5 year passport is not valid as it has nothing to do with identity fraud given the passports hold bio security features which is why other countries have gone to the 10 year life. The real reason is by going to a 5 year passport the government obtains twice the revenue over a 10 year period. For me what it comes down to is the fact that no notice was given about change. I was lucky my last 10 year passport only expired last year, now I have a smart passport, which I had to pay extra for, and I live in Australia so I had to pay extra for that to, and now I have a pretty passport with lots of colourful pages with lots of pretty pictures that will never get use because I have a smart passport. If I rip some of those pages out and end them back do I get a refund? Ten-year passport validity makes more economical sense to the holder. For those who travel infrequently, the cost of renewing a passport is far too expensive and inconvenient for a trip home every now and then. Getting the photos done correctly here is a challenge all of its own, so every 10 years is more practical from that aspect as well. BRING BACK THE TEN-YEAR NZ PASSPORT! Thank you. Having just recently renewed my NZ passport I was shocked to find it only valid for 5 years? Why? Australia has 10 year passports for around the same price as NZ 5 year passport - is this just a money making enterprise - I see no other reason. It is inconvenient and expensive to keep renewing my NZ passport. As a flight attendant, its difficult to find enough time off/days off in between trips to be able to obtain a new passport every 5 years. Plus, the cost. I am a New Zealand citizen and always will be. Updating my passport every 5 years is not easy or affordable. It seems like NZ is going the way of so many countries by charging more for less. Giving us rights and then taking them away. Passports are what keep travelling NZ citizens coming home to spend more money. Not driving them away to consider citizenship elsewhere. I have lived abroad since 2000, and having to consider frequent passport renewals as well as visa or residency renewals means that I often have to renew one or both early, giving me higher costs and more hassle overall. It can also get in the way of travel and work plans. A 10 year passport would be fantastic. Living in Australia and frequently travelling overseas to visit other family makes applying for a new passport every 5 years (or less) very annoying. The child passport criteria has also been changed, with the requirement now being that another NZ citizen (not family and must have known the child for 12 months!) having to vouch for photos and sign the application. Whereas beforehand that could have been anyone who has JP rights, i.e. someone at the school. When I move to Germany how will I find a Kiwi who will know us well enough to do that? I live in America and have for many years, having to find someone to verify me is hard enough to do so doing it every 5 years is almost impossible. Just renewed my son's passport and my own last month. Because of where we live, it is difficult and costly to get it done. Having to do it in another five years is going to be very annoying. Once over the age of 18 a person's face is unlikely to change much, which is why licenses have a longer life than 5 years. 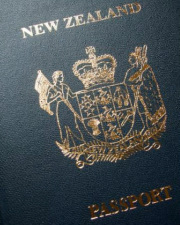 It is a rude, inconvenient and obvious money grabbing gesture to cut the life span of a new Zealand passport in half. For my family to find another $600 to go visit family in Oz is too much every 5 yrs. No other government department would get away with what has happened here. I'm a dual citizen, and it's more convenient to have a visa in my 10 year US passport. Surely this is bizarre situation given I have lived in NZ all of my life. I am living and working abroad for a NZ company and have three young children. It is very expensive and time consuming to expect citizens to have to renew their passports every five years. I would also like to see the NZ government become more relaxed on the baby photo component of the NZ passport. It is ridiculous to have photos of babies rejected because of silly reasons. Surely baby photos is an area that we can relax global standards on? I live in Australia by choice and my passport is for my convenience to return to Aotearoa in times of need I.e. Tangi or family needs . To have to purchase a 5 year Passport is a ridiculous cost that does not warrant sitting in the drawer waiting for that dreaded phone call (And I have received 1 of those calls) Lucky for me I was nearing the end of my original 10 Year and allowed to travel. Adults tend not to change much over the time and this helps keep costs down when having to renew more than 1 passport at a time. 5 Years also tends to catch you out - expired before you know. It is a costly exercise when one has to renew passports not only for oneself but for children as well. There was nothing wrong with a 10 year validity (really only good for 9 years 6 months as many countries need the passport to be valid for at least 6 months when you leave!). This means that a 5 year passport is only good for 4 years and 6 months! I am a NZ citizen studying in the USA. Renewing my passport half way through my study was a nuisance, and a 10 year passport would have avoided this. I also plan a lot of international travel in my future, and a 10 year passport would be beneficial. I live in the uk and have to transfer a visa every 4 years which is a massive cost for me of time and money. I'm a New Zealand Citizen & the US gave me a Visa to travel to their country for the next 10 years, but my own country only allows my passport to be valid for 5? With electronic facial recognition, what reason for this? Passports are supposed to be about maintaining the safety and security of a country, not profiteering. If other (far more paranoid) countries have 10 year passports, so can New Zealand. To assist NZ exports to China, I currently need to update my 5 year passport every 4 YEARS (as China visas are issued for 1, 2, or 3 year terms only) - this results in a NZ citizen living in Hong Kong suffering the risk on having NO TRAVEL document for 6.25% of their life while living abroad! (why should we Kiwis suffer this indignity for supporting their country of birth! ).